The two best scorers from the Last 32 – Sharrod Ford of Paris-Levallois and Damian Kulig of PGE Turow Zgorzelec – square off as their teams search for a place in the quarterfinals and the chance to make what has already been a historic season for both even more memorable. 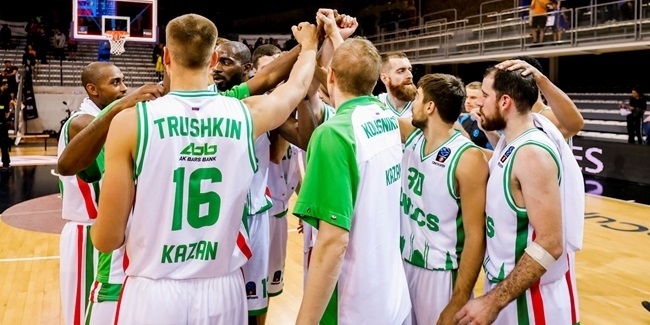 After making its Turkish Airlines Euroleague debut earlier this season, Turow is now in its fifth Eurocup appearance, but the reigning Polish champs haven't made it this far in the competition for seven years. Back in the 2007-08 season, Turow passed through a pair of elimination rounds and reached the Eurocup Final Eight, but none of the players from back then are still with the team. In three other previous Eurocup campaigns, the club has never gone past the regular season. Turow is currently riding a five-game winning streak, and faces Paris-Levallois, which has made its Eurocup debut a year ago and only made it past the regular season in this one. If the club is a relative newcomer to the Eurocup, however, the same can't be said for the players of head coach Gregor Beugnot, as eight men on the roster have extensive previous experience with other teams in either the Turkish Airlines Euroleague or the Eurocup. It's always a must-see action when two top scorers go against each other, and that will be the case in this series, too, with undersized centers Sharrod Ford of Paris (20.7 ppg) and Damian Kulig of Turow (20.5 ppg). They were also among the Last 32 leaders in performance index rating, with Kulig ranking second (24.67) and Ford third (24.50), which only begins to tell how valuable these two big men are to their teams. Ford has been dominating the paint and crashing the boards the entire season. 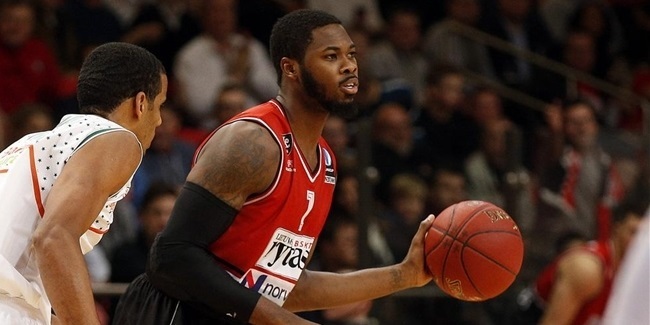 He leads the Eurocup with 9.2 rebounds per night, having collected eight double-doubles during the season. He was a monster on the offensive glass in the Last 32 with 4 offensive boards per game. Meanwhile, in his role coming off the bench, Kulig finished around the rims with 69% two-point accuracy, pulled down on average 6.7 rebounds (2.5 on offense) and made himself into a nightmare matchup by making 15 of 31 three-point shots in the last phase. By scoring at least 19 points in five of six games in the Last 32, Kulig also proved his consistency. Expect an awesome battle between them! Turow was tied for first in scoring with 92.17 points during the Last 32. It also ranked third by making 11.17 three-pointers per game at the fifth-best rate of 40.85%. The secret to Turow's high production is that it came from variety of sources, with six scorers averaging double figures. Kulig and swingman Mardy Collins actually ranked first and second in scoring going into the final Last 32 game. Collins finished that phase with 17.7 points per game to rank seventh individually. They are followed by shooting guards Michal Chylinski (15.3 ppg) and Nemanja Jaramaz (10.7), as well as forwards Chris Wright (11.3) and Vlad Moldoveanu (11.2). Turow is obviously in love with three-pointers, having attempted 27.3 of them per game in the Last 32, a total of 34 more than Paris tried. Four different Turow players made at least 10 triples during the Last 32, however, Paris might have an antidote for it. Only two teams in the Last 32 had better perimeter defense than Paris, which held opponents to 32.67% three-point shooting. 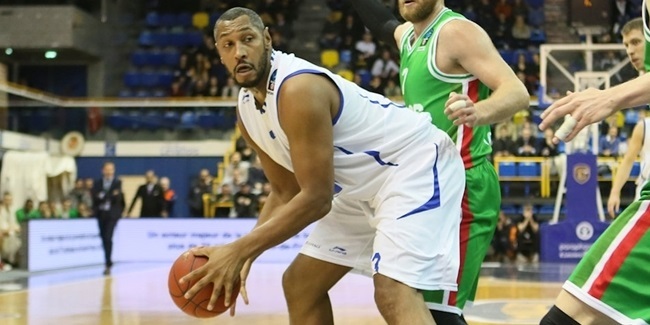 Considering that Paris faced great shooting teams like Pinar Karsiyaka, Neptunas Klaipeda and Besiktas Integral Forex Istanbul – all of which at different stages of the competition were among Eurocup leaders in one of several three-point categories – Paris players obviously have the speed and mobility needed to disrupt long-range shooters. Limiting one of Turow's great strengths could turn into a big advantage for Paris. No team in the competition has come even close, so far, to having two guys create for their teammates like Blake Schilb and Mike Green can. Do-it-all forward Schilb averaged 15 points, 6.5 assists, 5.2 rebounds and 1.7 steals, making big contributions on both ends of the floor. As versatile as he is, Schilb's assists are what really stand out, especially considering whom he shares the floor with. Paris point guard Mike Green led the Last 32 with an average of 8.5 assists. The ball movement finds Nicolas Lang, Landing Sande and Maleye Ndoye for good three-point looks, while Sharrod Ford benefits on the inside. All you need to know is that the duo of Schilb and Green combines for 15 assists, compared to the entire Turow team averaging 16.8 per night.